479,00 € 479,00 € tax incl. The differential switch HAGER CDB440E - Differential switch 40A - Type B - 4P - 30mA is essential for any installation of charging station. It will compare the input current with the output, and turn off the circuit if the difference is greater than 30mA. This function protects people against electric shock. It was selected by a team of skilled electricians to be compatible with all single-phase charging stations of our site, to a charging station facility in the Belgian power network. This differential switch is compatible with all three phase charging stations of the market that have a load current between 1 and 32A. Compatible with the power grid in Belgium. 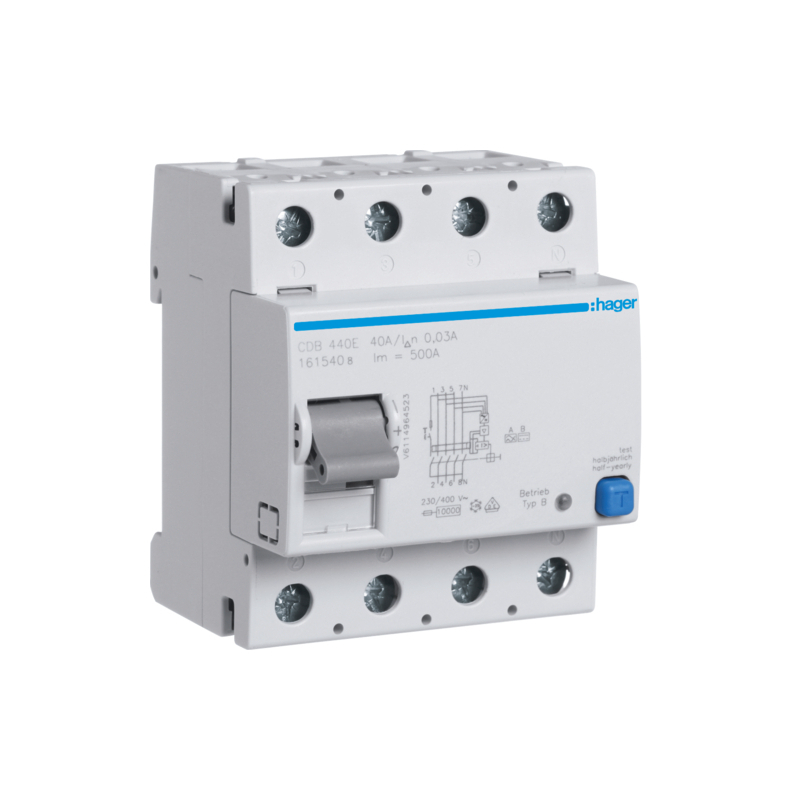 It must be coupled to a circuit breaker, and is compatible with 20A circuit breaker - HAGER MCA420 and 40A circuit breaker - HAGER MCA440 . It must be installed on a line specifically dedicated to the charge port after the main breaker of the electrical panel. The charging station must have its own dedicated line, with its own circuit breaker and its own differential switch. 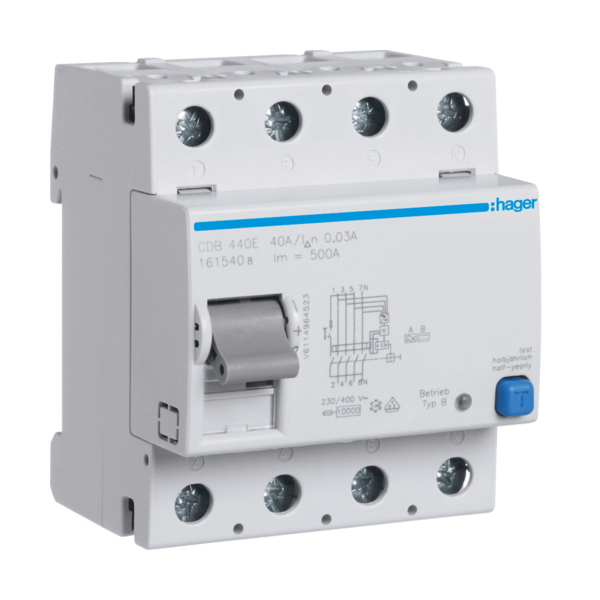 It must be associated with a type of circuit breaker HAGER MCA.